Limited hardback edition in a clothbound slipcase with gold foil lettering and ribbon marker. 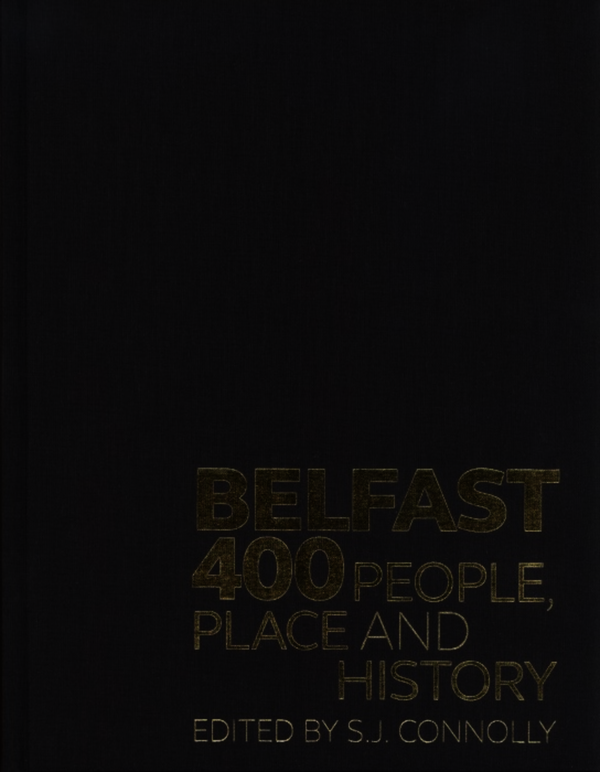 One of only four hundred limited edition, beautifully bound, boxed copies of 'Belfast 400: People, Place and History'. Published to mark the four hundredth anniversary of the town’s foundation, 'Belfast 400' draws on a wide range of recent research to present a new history of one of the world’s most fascinating and most misunderstood cities. The misunderstanding, and the fascination, arise from the same contradictions. Belfast was a significant part of the story of Great Britain’s rise to industrial greatness. But it was a city located, not in Great Britain, but in Ireland. It was one of the main theatres in which the conflicts of identity that have created modern Ireland were fought out. Yet both its politics and its industrial character set it wholly apart from other Irish towns. A central part of the history of both societies, it has never fitted neatly into the accepted narrative of either. Against this background 'Belfast 400' seeks to recapture the true history of Ireland’s second city in all its complexity. In doing so it asks many questions. Why did such an apparently unfavourable spot, a waterlogged river mouth, persist for centuries – long before the appearance of the first town – as a site of human settlement. Why did what was intended to be a minor outpost of British settlement in the province of Ulster become its most important urban centre? How did the medium-sized commercial centre that thus emerged expand to become, by the beginning of the twentieth century, one of the world’s great centres of shipbuilding and linen manufacture? Finally, and most of all, what did the development of this great industrial centre mean for those who lived there? How did its inhabitants experience the birth pangs of an industrial society, the late nineteenth and early twentieth-century heyday of manufacturing, and the long decline that followed? How far, equally, can the city of Belfast now redefine its identity, and the still often fraught relationships that exist between different sections of its population, to face the challenges of the twenty-first century? Published to mark the four hundredth anniversary of the town’s foundation, Belfast 400. Presents a new history of one of the world’s most fascinating and most misunderstood cities. Suported by Belfast City Council and Queens University Belfast Lavishly illustrated, beautifuly design, fantastic reading for all - a must-have publication.